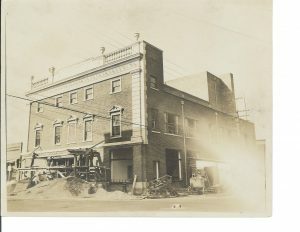 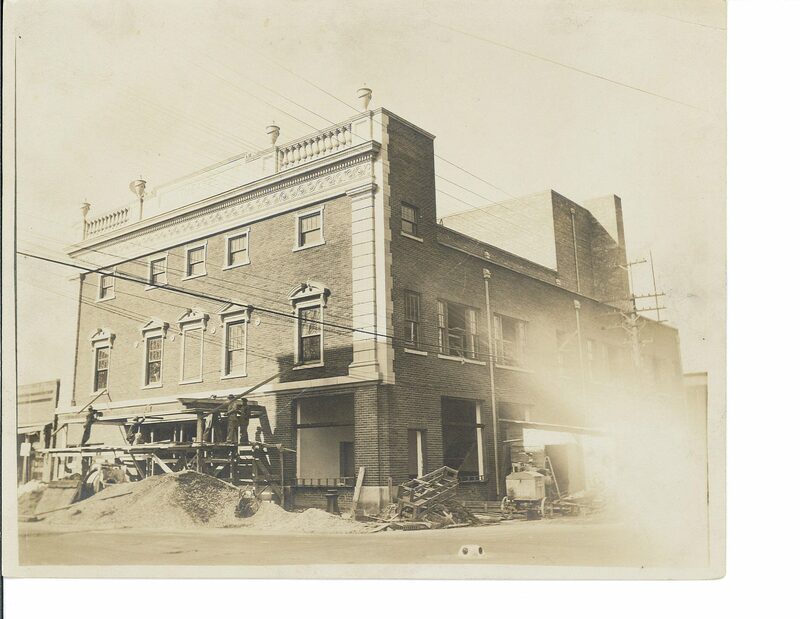 Theater during construction in 1928. 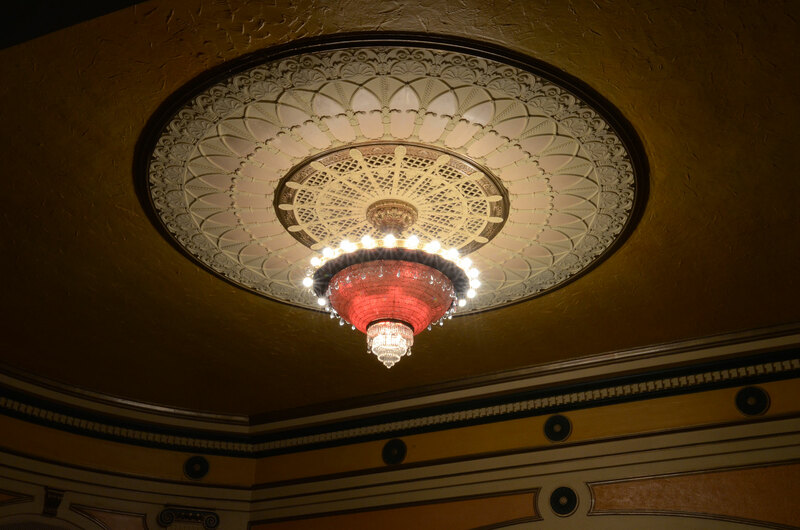 The chandelier is the theater’s signature architectural highlight. 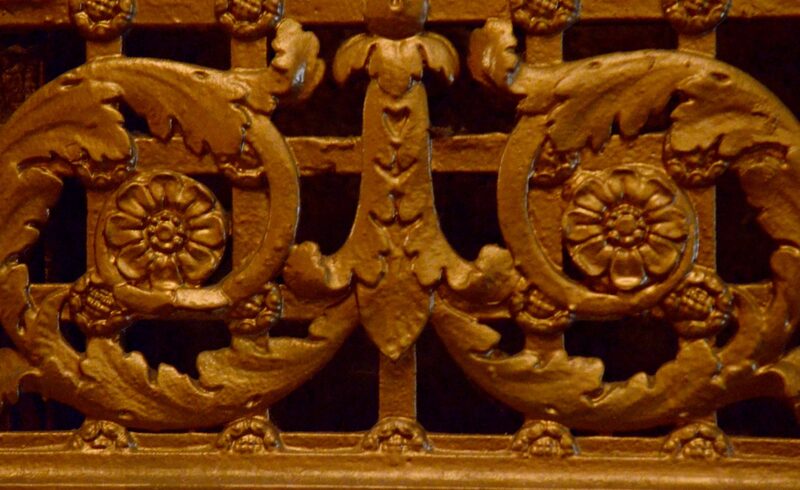 Detail of original auditorium radiator decorative grill. 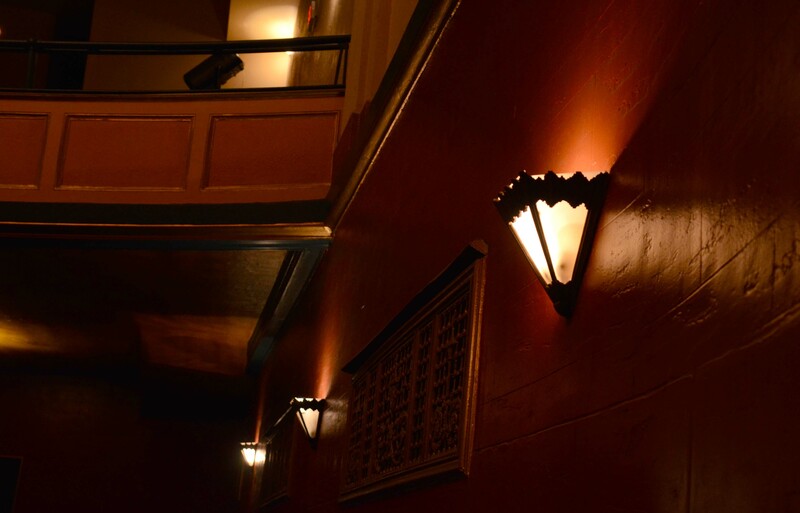 Wall sconces on hand-textured plaster walls. 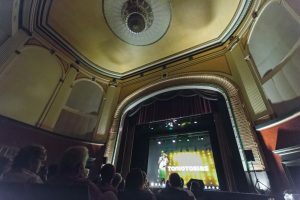 Annual “My Time to Shine” talent competition. Photo by Jonathan Ward. 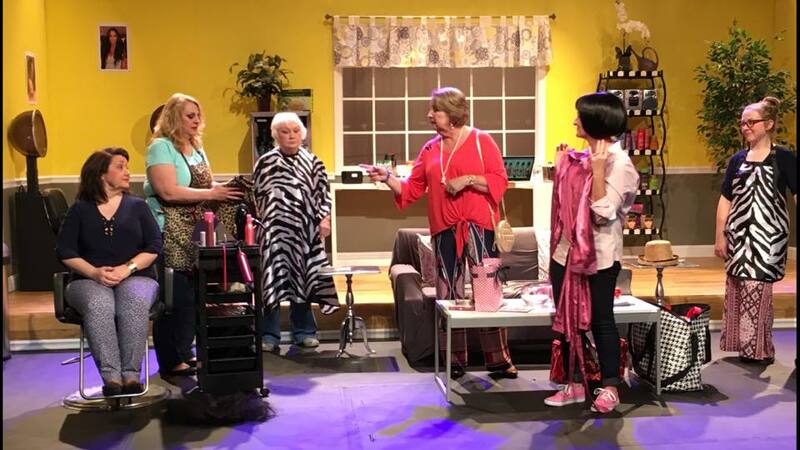 1925 production of “Steel Magnolias” directed by Kendrix Singletary. 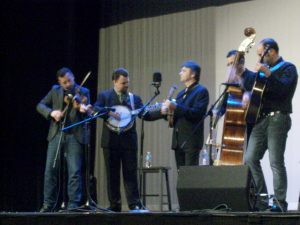 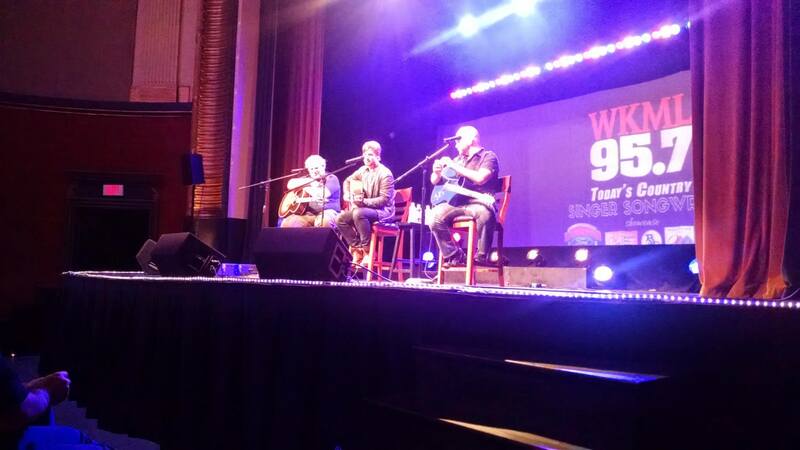 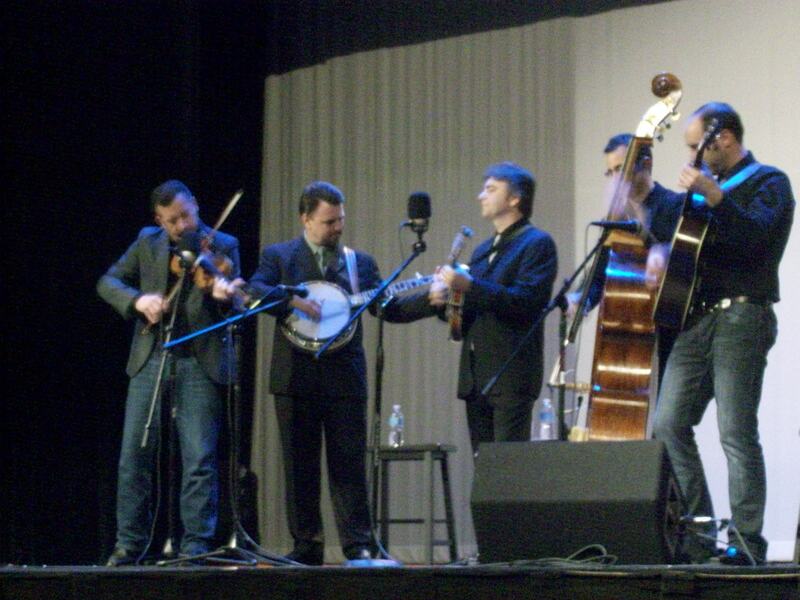 The Travelin’ McCourys featuring two of Del McCoury’s sons. 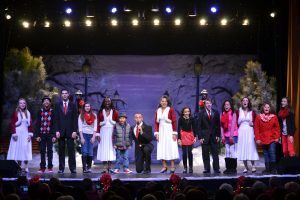 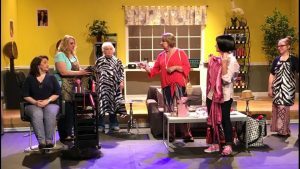 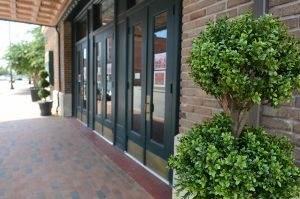 The Raleigh Ringers perform every other season at the theater. 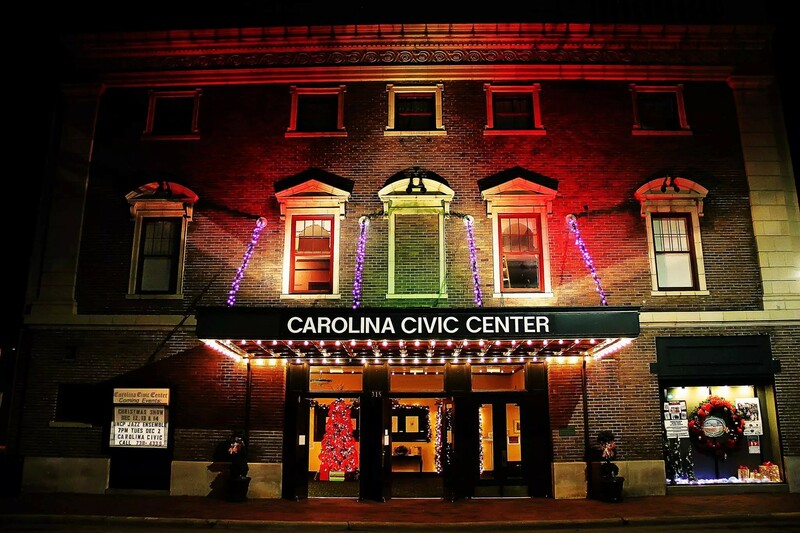 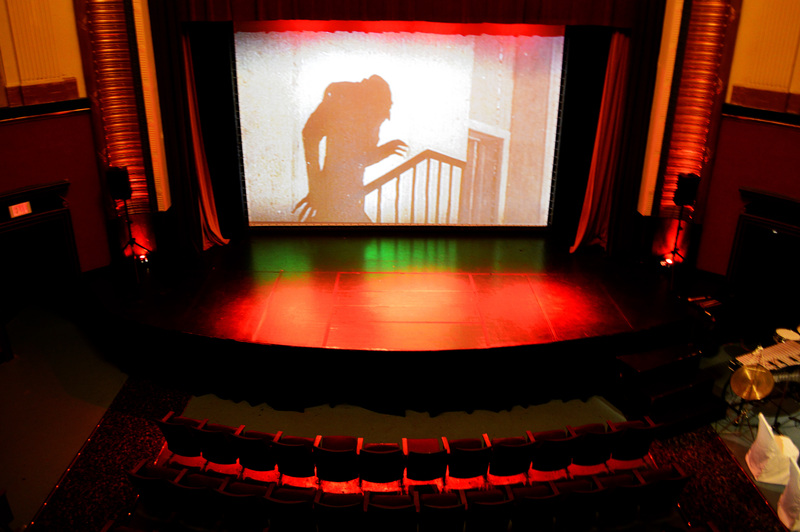 2014 Screening of the silent vampire film “Nosferatu” accompanied by the Malarme Chamber Players of Durham. 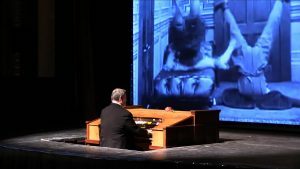 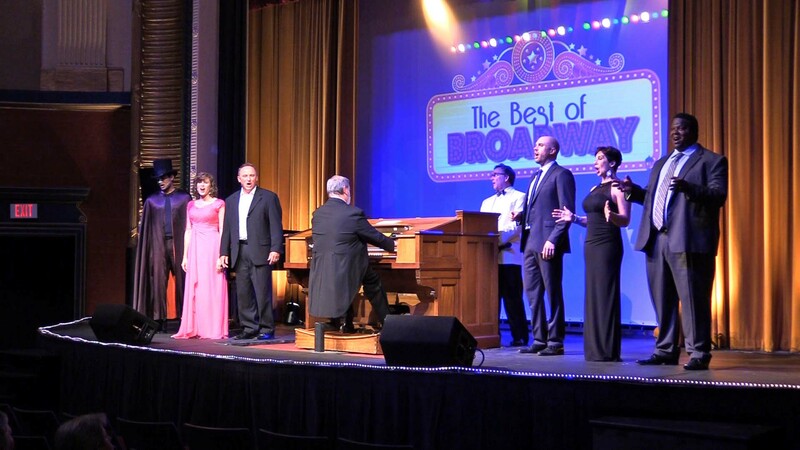 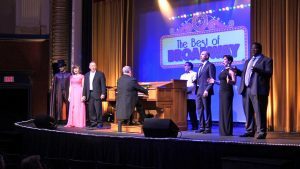 Mark Andersen at the theater organ with regional performers. 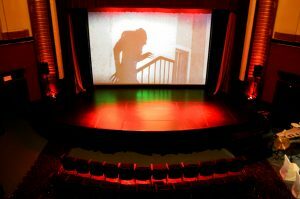 Mark Andersen accompanies silent films regularly at the theater. 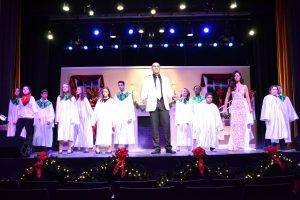 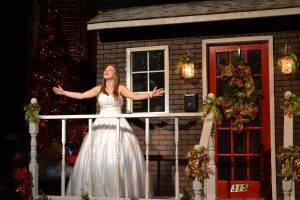 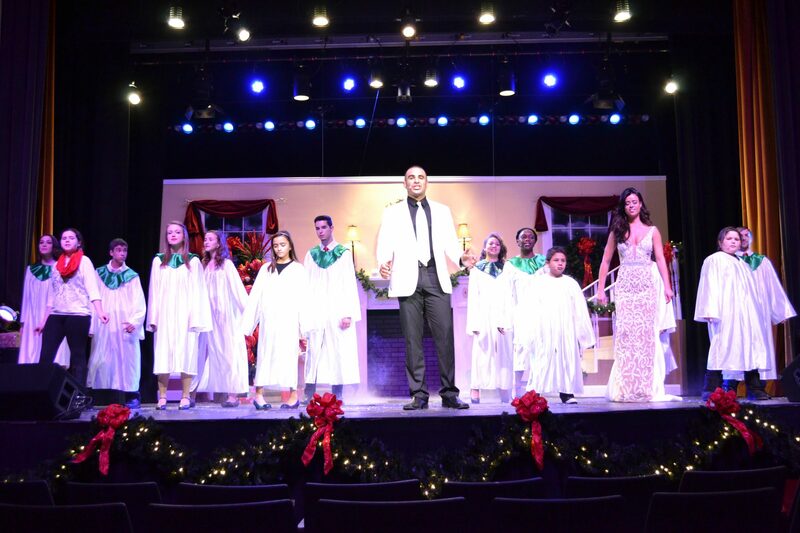 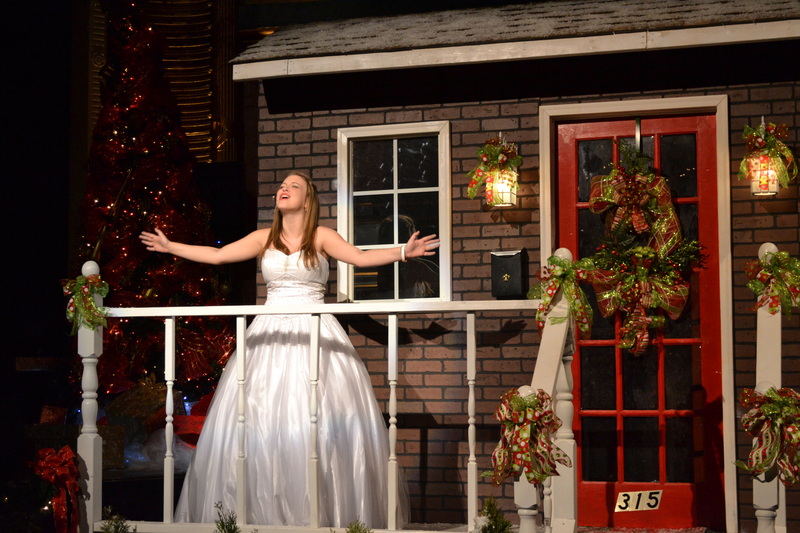 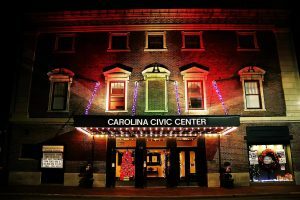 “A Robeson County Christmas” Show. 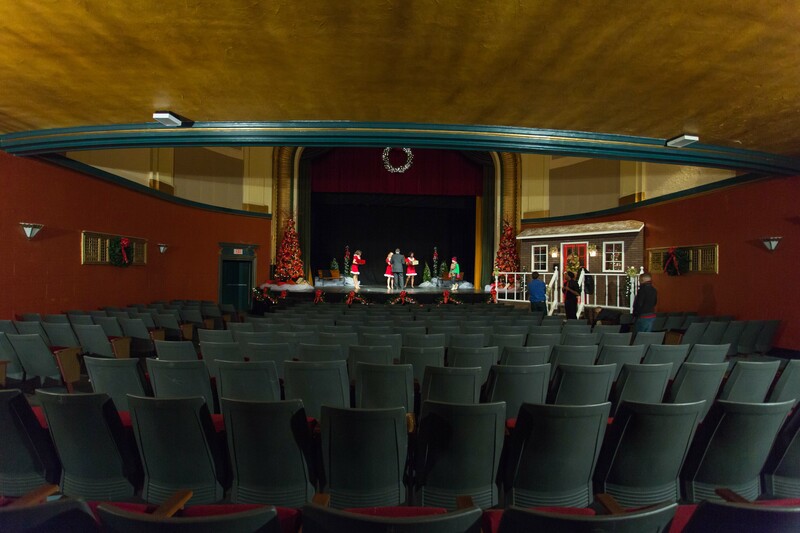 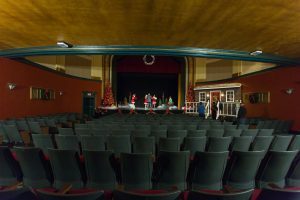 Wide angle during annual Christmas show. 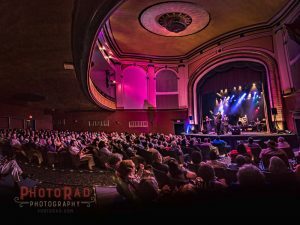 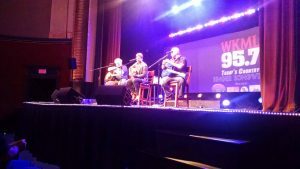 The Drifters perform for a full house September 16, 2016.